A dedicated outdoor workspace--whether used for nurturing plants or storing tools--can make tending the yard much less of a chore. Anyone who spends time gardening or tending a lawn appreciates a dedicated work space—whether it’s used for sharpening tools, starting seedlings, or hanging the water hose. Although greenhouses traditionally are for growing plants and potting sheds are for potting up seedlings and storing tools, the lines between the two are often blurred. 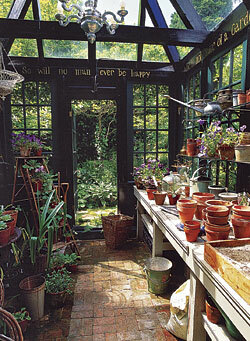 It’s not unusual to find a potting bench in a greenhouse or a sunny, plant-filled windowsill in a potting shed. 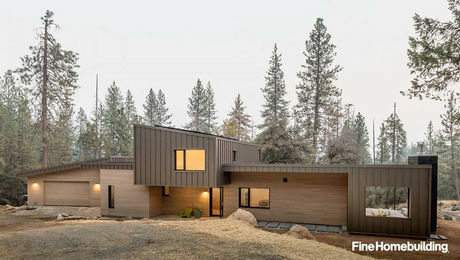 Just as often, these two spaces are connected or built close together—and never far from the garden. Greenhouses are bright, humid spaces used for protecting tender plants over winter, propagating new plants, and growing a wider range of plants than possible in a garden. They should be positioned for maximum sun exposure and away from trees to avoid falling branches. 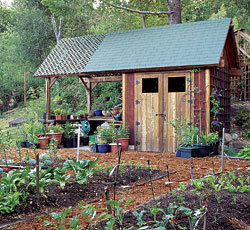 Both greenhouses and potting sheds benefit from access to water, whether provided by a spigot or a sink. 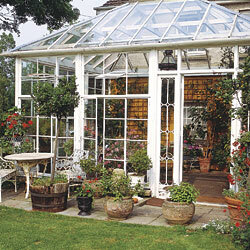 Size is the most important factor to consider when choosing a greenhouse. 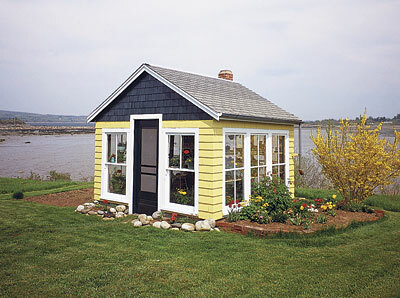 Freestanding greenhouses are available as small as 6 ft. by 8 ft., but most gardeners find that a structure measuring at least 8 ft. by 10 ft. better accommodates plants and people. 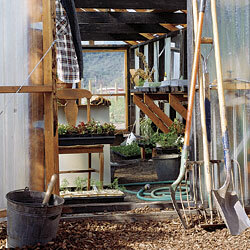 It’s easier to grow into a larger greenhouse than it is to expand a greenhouse when you outgrow your space. 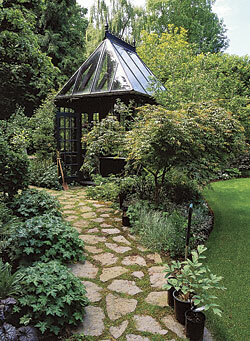 There are numerous styles of greenhouses. Freestanding rectangular or hexagonal greenhouses, lean-to–style greenhouses that attach to a house or garage, and portable greenhouses with just enough room for a few small plants are several choices. 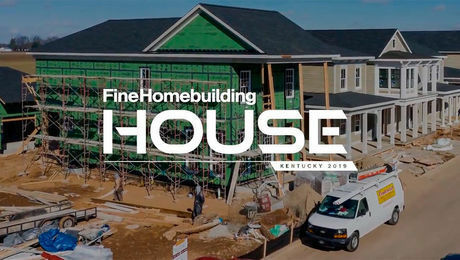 Roofs may be peaked, rounded, or domed. Doors may swing or slide open. And windows or roofs may open to improve ventilation. 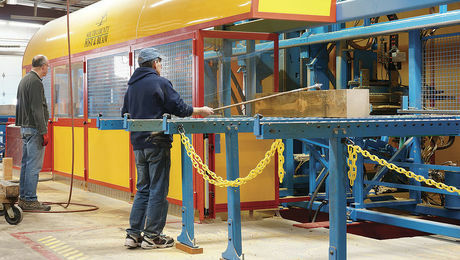 Greenhouse frames come in a variety of materials. 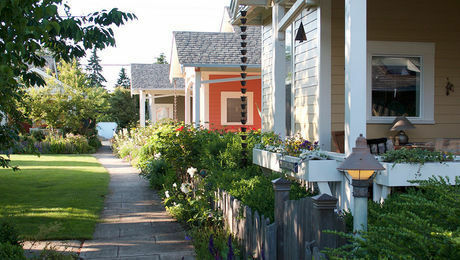 Painted wood is beautiful, but rot-resistant cedar and anodized or enamel-coated aluminum is much easier to maintain. Although most greenhouses still have glass panels, new UV-treated polycarbonate panels are more energy efficient and less susceptible to breakage. Pea gravel is a practical choice for greenhouse flooring. It won’t become slick when wet and allows excess water to soak into the soil. Greenhouse heating requirements depend on what you are growing and where the structure is located. 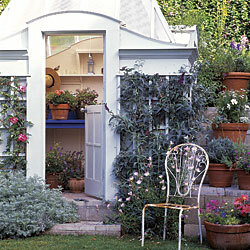 Cooler greenhouses are ideal for protecting frost-tender plants and growing cool-season vegetables. 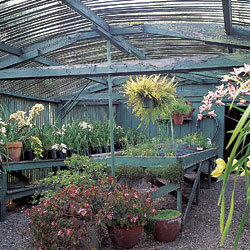 Warmer greenhouses are required for starting seedlings or growing tropical plants. Greenhouses in northern regions need a more reliable heat source than those in southern climates. Start by placing a greenhouse in an open, sunny area, with the longest side running east to west to maximize sun exposure. Several large barrels, filled with water and painted black, will absorb heat during the day and radiate that heat at night. 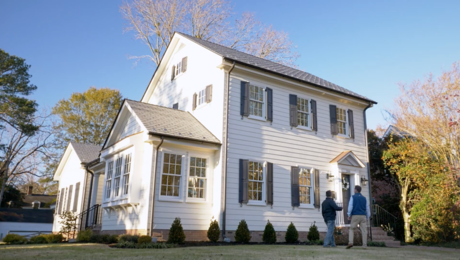 Electric, oil, and gas heaters will provide additional warmth and more precise control over temperatures. Compost bins aren’t usually the most attractive garden structures, but to encourage their use, they must be conveniently located near the kitchen. 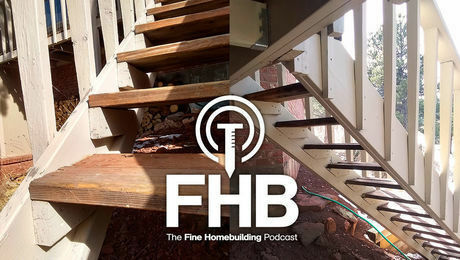 So instead of looking at a pile of decaying leaves and vegetable peels, build an attractive wood or brick bin with a hinged lid that keeps the mess at bay and blends in with your home’s architecture. As an alternative, screen less attractive but functional compost bins with an evergreen hedge, fence, or vine-draped trellis. A bin that holds approximately 1 cu. yd. (3 ft. wide by 3 ft. long by 3 ft. high) of materials is the most efficient at converting waste into rich compost. If you don’t have space for a freestanding shed for potting up seedlings, stashing gardening tools, or storing pots in winter, simply improvise with what you do have. A garage or basement may have enough space for a table and shelves. A potting bench and hanging wall rack for tools can be tucked under the eaves of a house, garage, or other outbuilding. In a pinch, use an oversized wheelbarrow as a basin for mixing and storing custom potting soils. 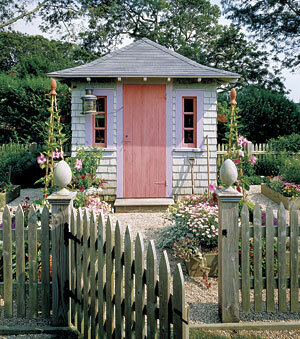 It can also serve as a portable workstation filled with gardening gear and rolled from one area to the next. 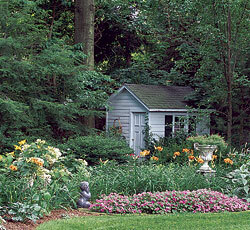 Lee Anne White is a landscape designer, garden photographer, and writer.